I’ve been drumming into clients (and bosses before that) the importance of knowing what their purpose is for as long as I’ve been helping people get their message across. In truth, I’ve only really talked in terms of a “purpose” in the last few years as it has become more widely accepted. Previously I might have just asked plainly whether they knew why they were doing something - whether giving a speech, writing an article or appearing on the TV. It may seem an obvious thing but all too often people undertake communication activities without knowing why or whether it supports their strategic aims. For individuals having a purpose has been proven to be a good thing as it boosts performance, resilience and even your health. Some people have one purpose that covers all they do. Others develop a purpose in an area of development or to achieve a specific goal which is frequently how I use the concept with my coaching and training clients. For example, I help people to communicate better and so grow their business, get elected or motivate others to take positive action. This gives me my general (business) purpose every day keeping me motivated and doing good work. Seeing and hearing about a strong purpose from big business is something relatively new but increasingly expected and brings me to this week’s award winner. 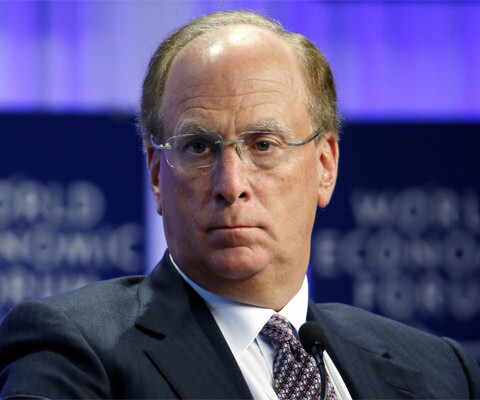 Larry Fink, Chairman and CEO of Blackrock, the global investment giant writes a letter to CEOs every year in which he advocates action that will drive long-term growth and, in turn, drive return on investment for Blackrock’s clients. The letter itself is long and detailed covering the role of government in the 21st Century to business strategy via structural trends such as climate change. What underpinned Fink’s narrative was that business needs to do more and be seen and heard doing more as governments globally fail to prepare for the future. If businesses do fill this perceived void then they are more likely to thrive. If they fail to operate with a sense of purpose they will come under increased pressures from internal and external stakeholders that will undermine their financial bottom line. No longer is it good enough to have the CSR programme box ticked. Businesses need to understand their broader role and their responsibilities to employees, customers and wider society. We should see a greater emphasis on the role of the corporate communications team if Fink is right. It is an interesting and challenging call for change, particularly coming from someone with so much power to decide which companies are worth investing in, and is why Larry Fink is my Communicator of the Week.